Look For A Web-Builder That Will Foster Business Growth. You hold the future of your business in your hands, make sure you choose the website builder that will enable you to grow your business into a success. Evaluate the following business website builders, follow the reviews, then choose the one that will allow you to build a thriving and sustainable business. As a business owner, you have more responsibilities on your plate than you'd care to think about, but you're feeling pressed to get your business website up and running. It seems like every time you tell someone about your new business, you are ask the infamous question, "do you have a website. " You fumble around for an answer and resolve that it's really time to take the plunge and get a business website through one of those website builders. Well you'll want to look through these reviews and get a handle on which website builder is right for you. Read through the following business website builders reviews and decide for yourself which seems more appealing to you. Evaluate each choice carefully and pick a business website builder that will give your business the web presence it needs to grow. Getting started was a snap. Wasn't quite sure where they were leading me, but following along was easy. Price = $9.95/month with a free- trial offer. They lead you through what you need to do first, then second, without a lot of extras or sizzle. Their templates were boring and mundane. The process, though simple, just didn't feel intuitive. If you need a basic 1-2-3 approach to building a website without all the bells and whistles. Okay. They got me hooked. I fell in love with all of the different designs they had in each category. In fact, I could see how I could actually have one of their sites up and running in five minutes. Price: $19.95/month with free-trial offer. I loved the ease of choosing what I wanted. Also, easy to type on-screen and know how it was going to look when my website went live. what to do to make sure that Google would find this site. Also, I wasn't convinced that this tool would make my business rock. A website quick and easy way to get a website up in a matter of minutes. Initially I didn't think much of it. I was thinking that maybe this wasn't actually a web builder site. But then, I found the build-a-website option and a whole new world opened up to me. Interestingly, they have some really good offerings there. Really low-key approach: easy in-easy out, easy to make my selections. Price: a 50-page web package for $4.99/mo with a minimum 2-month commitment. They give you a preview of the various templates, flash intros, and other tools they offer. Each add-on feature cost an additional amount per month. Though the add-on fees were very cheap, I could see how easily it would be to keep adding features on, and running up the tab. You if you needed a quick, cheap way to get your website up and running by only committing to a $4.99/mo, 2-mo commitment. I fell in love! This site gave me some awe-inspiring templates and the ability to type on-screen and see how it would look live was a wonderful asset. Of all the rest, moonfruit is a site I could actually see myself using. It had a lot of creatively-inspired templates and it was extremely easy to use. It also gave me a sense of excitement to actually build a site with them. I knew that when I got finished building the site, it would reflect the visually-enticing site I was looking for. Again. I ran into the same realization as before. I just didn't know how to take control of the site, pick out the right key words, and ensure that my web visitors could actually find me. But the bottom-line was it really didn't matter how visually alluring my site was if I didn't have a clue as to how to make it work with Google. If you are looking for a easy to use tool that has many visually appealing templates that you can use to set your business apart from the competition. Okay…I feel like a kid in the candy-store again. So many visually enticing web templates…I could see that this was going to be fun! Price = $19.98/month with a 10-day free trial offer. The make building a legitimate business website easy. And it was a pleasure to work with this web builder. They have tons of tempting templates for you to choose from. They have many that will make you smile and make you think, "yeah, this is more like it." This was the best business-oriented WYSIWYG web-builder I had found thus far. For me, this was a good as it gets for building my business website. exactly what I should do to ensure that both Google- and my targeted web visitor- could actually find me. Also, I didn't want to go out and pay for another tool to help me figure out how to optimize my site for keywords and Google's search engine. An easy to use, comprehensive site that give you many tools that would both support growing your business and managing it with ease. Also, you don't have to let your limited web knowledge hold you back. You can elect to have them build the site for you for $399. Wow! I read through their website description and it seemed like they really knew how to help you build a website that could grow into a successfully sustainable business. be found by the search engines. Price: $299 annual flat-fee, for comprehensive step-by-step web-building, search engine marketing, link-building, and keyword optimization tools and support. They offered a money-back guarantee. So this meant, I could try them and then cancel it if I couldn't figure out how to make it work. It seemed like they had a lot of people who were doing so many different things with their websites. They promised to give me everything I needed to get my website up and running, get found at the engines, and to attract traffic. I didn't have the first clue as to what it really took. I felt like I really had nothing to loose. I needed to just try them and see where it would take me. The biggest con for me was that I had to buy it to try it. I had become spoiled by all of the other Web-builders and the fact that they let me play with their templates up front. So this meant that I would have to pay for it up front, and then ask for my money back if it really didn't work for me. So...in reality, I had nothing to loose. At this point in the process, I had to move forward. My website had to be built. And so...I made the leap and haven't looked back every since. Support you in building a website to evolve with your growing business. Lead you through the process of using your website to earn multiple income streams. 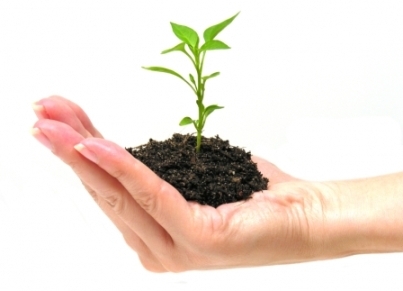 help you grow your business into a successfully sustainable and evolving entity. Give you access to a community of like-minded business owners who are also building their websites to support their growing businesses. Looking Through These Business Website Builders And Their Reviews Is The First Step. Read Below To Find More Strategic Tips To Creating A Website That Draws Traffic. It's Time. Find Out What You Should To Get Your Business Website Up. Your Answer To "Where Do You Go ToDon't Give Up. Create A Website For Your New Business?" Is Right Around The Corner.